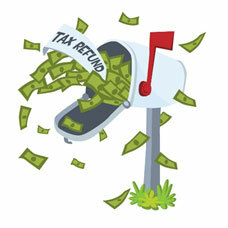 It’s that time of year again for filing your Canadian Personal Tax Return. As you know, the due date for filing your 2014 tax return is April 30, 2015. 1. The Family Tax Cut. If you are married or in a common law relationship, and have children under 18 years old, then you are eligible for the Family Tax Cut. This new credit allows the higher income earning spouse to transfer up to $50,000 of his/or income to the lower income earning spouse. By doing so, your family will pay less taxes overall, because the lower income earning spouse is taxed at a lower rate. The maximum tax credit allowable under the Family Tax Cut is $2,000. 2. Universal Child Care Benefit. While this benefit has been around for a number of years, the benefit amount has increased starting January 1, 2015. The benefit amount is now $160 per month for each child under the age of 6, which is up from $100 / month. For children between 6 and 17 years of age, the benefit amount is now $60 per month, where in previous years no benefit was paid for children in this age group. 3. Adoption Expenses. The maximum amount that you can claim for eligible adoption expenses has increased from $10,000 to $15,000 for the 2014 tax year. 4. GST/HST Tax Credit. In previous years, you had to apply for the GST/HST credit. However, starting in 2014, your credit amount for the GST/HST credit will be automatically assessed when you file your 2014 tax returns. That’s one more reason for you to file your taxes this year. What are the Top 5 Myths of the Family Tax Cut? Just a question regarding renting part of my home. I like to rent out the basement and another room to two different tenants. It will be about 30% of my overall living space. If this is my principal residence, will I have to pay capital gains when I sell my house one day and if am not claiming any CCA on the house. 2) If I want to stop renting in 2 or 3 years should my kids decide to move in back, is there a problem with CRA? That’s a very good question. When you have rented out the property, you have been deemed to have disposed that portion of the property. So upon the sale, while you are able to claim the principal residence exemption on the personal portion of the property, you will incur a capital gain on the rental portion. When you convert the property back from a rental property, you will need to inform the CRA about the change in use of the property. There should be no other problems.